Balsa Nova Our 1st Balsamic Hot Sauce, Made with Artisan Balsamic from Modena Italy, cured in Fresh Ghost Peppers from India and Scorpion Pepper from Trinidad, Part of Our Spicy Hot collection,... Not to worry we have only taken a Tenth of the Heat from these Peppers, infused in to the Balsamic, to give you a flavorful Enjoyable Experience. 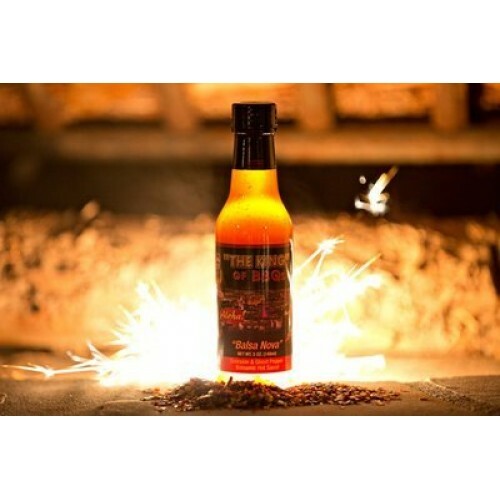 Great on Anything you want a little Sweet and even more Heat. especially Pork tenderloin, Roasted tomato Caprice, & for a Nice Desert Surprise, Try a little on you Chocolate Ice Cream! !